Boston Celtics president of basketball operations Danny Ainge is still under the impression that All Star point guard Kyrie Irving will re-sign with the team as a free agent this summer. 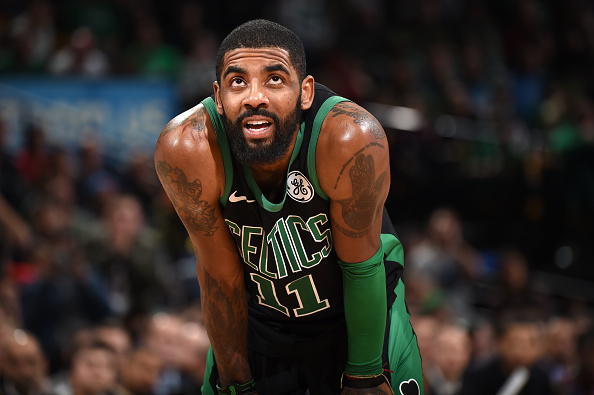 Ainge made an appearance on the Toucher & Rich radio show Friday morning where he described the team's current relationship with Irving as an "engagement," with the marriage still on for July 1st. “I think a lot of people because of Kyrie’s announcement at the beginning of the year thought that there was a marriage,” Ainge told the hosts (H/T ESPN). Last week, the 26-year old point guard left some doubt about his plans to sign a long-term deal with the Celtics, contradicting his remarks about resigning with Boston back in October. "At the end of the day, I'm going to do what's best for my career, and that's just where it stands. That's just where it stands," Irving told reporters prior to last Friday's game against the Knicks in New York. "... Ask me July 1st." With the Knicks clearing up enough room to sign two max contracts this summer, speculation has picked up that Kyrie will leave Boston to team with Kevin Durant in NY this summer. However, the rumors will remain rumors until the 2018-19 season plays out, regardless of prior "engagements." Kurtis Blow Blasts Virginia AG Mark Herring For Blackface "Tribute"